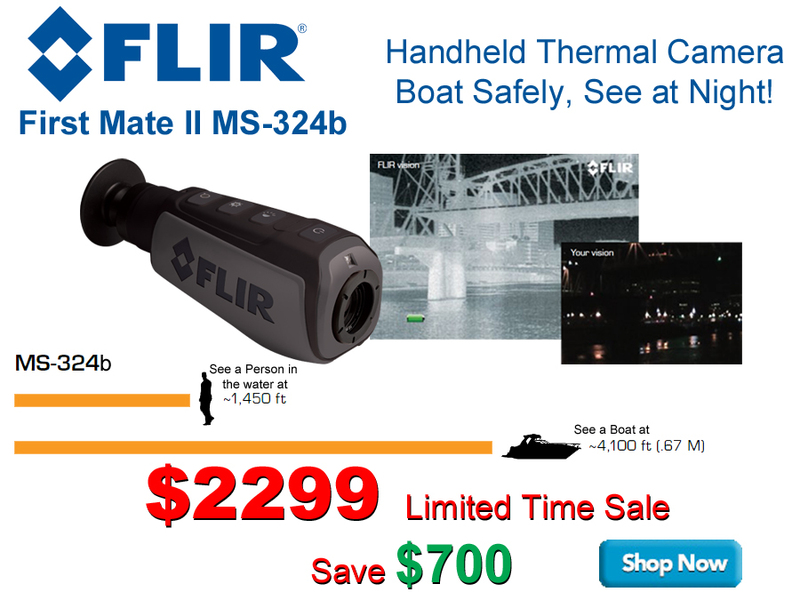 Save $700.00 on Flir MS-324B NOW! FLIR MS-324B Night Vision Camera – Unbelievable Savings, Get yours today! 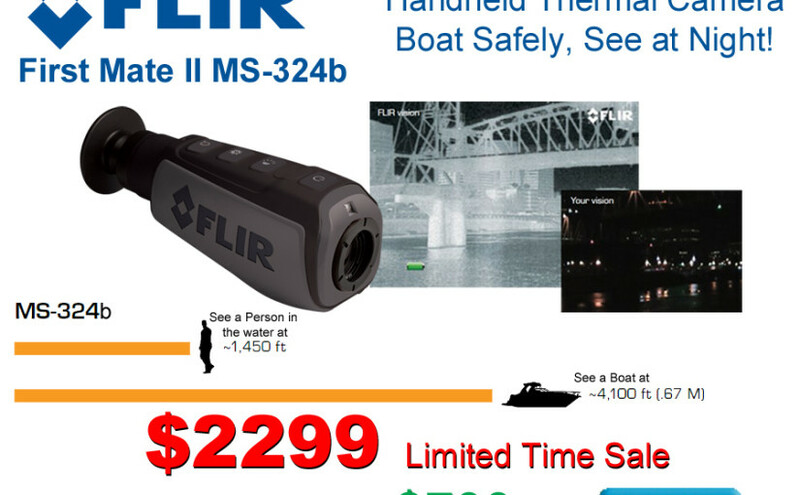 Flir MS-324B – Save $700.00 Now! Stay safe on the water with this powerful Thermal Night Vision Camera. Flir’s MS-324B helps you navigate even in the darkest of night. Easy to operate and compact in size the Flir MS-324B is a great choice for any mariner. Why buy from The GPS Store? In today’s world customer’s can choose to buy their GPS units – Automotive, Fitness, Handheld and Marine from pretty much anywhere. However more and more people are purchasing their electronics from The GPS Store. Want to Know why? We believe there are several key reasons why you should place your order with The GPS Store, Inc..
We are the only Factory Authorized US dealer for ACR, DeLorme, Furuno, Garmin, Lowrance, Magellan, Raymarine and Standard Horizon products online with an NMEA certified installer on staff. We offer Low Prices and expert advice. (Our staff has over Thirty years of experience in GPS and helping customers through mail order). We stock what we sell, and our inventory is one of the largest in the industry. We are members in good standing of the Better Business Bureau. When you call, you speak to a real person who has actually used a GPS !!! We offer fast shipping and top notch customer service. (We don’t just say it, we do it!). We have helped over 500,000 satisfied customers who come back to us time and time again. All products are covered by full manufacturer stated warranty’s. All products are Brand New unless specifically noted.